In the land of theoretical physics, equations have always been king. Indeed, it would probably be fair to caricature theoretical physicists as members of a company called “Equations-R-Us”, since we tend to view new equations as markers of progress. “The modern era of equation prediction began with Maxwell in 1861, continued through the development of Einstein’s equations of general relativity in 1916, and reached its first peak in the 1920s with the Schrödinger and Dirac equations. Then a second, postwar surge saw the development of equations describing the strong force and the electroweak force, culminating in the creation of the Standard Model of particle physics in about 1973. The equations trend continues today, with the ongoing struggle to create comprehensive equationcs to describe superstring theory. This effort — which aims to incorporate the force of gravity into physical models in a way that the Standard Model does not — marks the extant boundary of a long tradition. Yet equations are not the only story. To an extent, geometrical representations of physical theories have also been useful when correctly applied. The most famous incorrect geometrical representation in physics is probably Johannes Kepler’s model of planetary orbits; initially, Kepler believed the orbits could be described by five regular polygons successively embedded within each other, but he abandoned this proposition when more accurate data became available. A less well known but much more successful example of geometry applied to physics is Murray Gell-Mann’s “eightfold way”, which is a means of organizing subatomic particles. This organization has an underlying explanation using triangles with quarks located at the vertices. For the past five years, I and a group of my colleagues (including Charles Doran, Michael Faux, Tristan Hubsch, Kevin Iga, Greg Landweber and others) have been following the geometric-physics path pioneered by Kepler and Gell-Mann. The geometric objects that interest us are not triangles or octagons, but more complicated figures known as “adinkras”, a name Faux suggested. 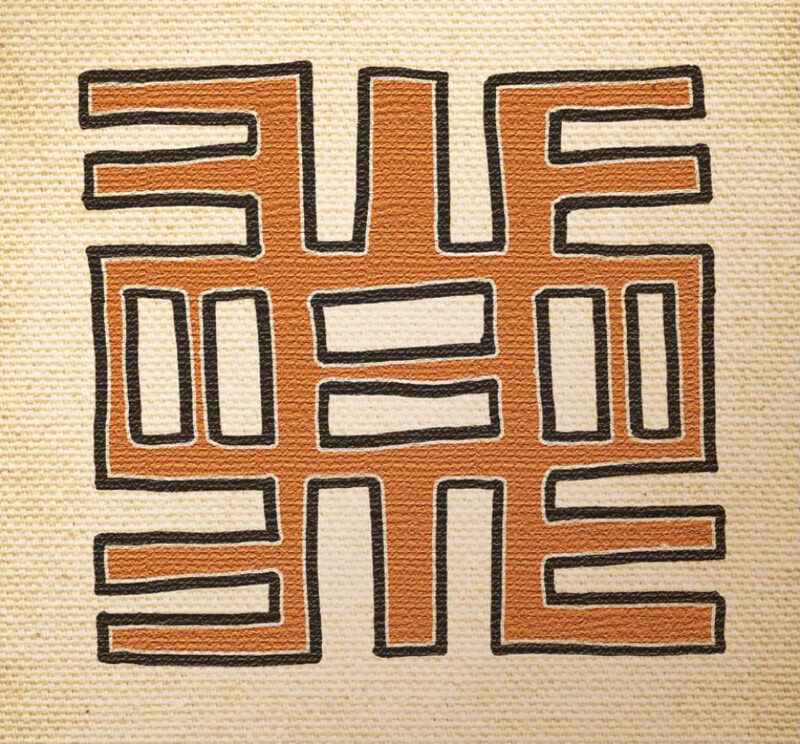 The word “adinkra” is of West African etymology, and it originally referred to visual symbols created by the Akan people of Ghana and the Gyamen of Côte d’Ivoire to represent concepts or aphorisms. However, the mathematical adinkras we study are really only linked to those African symbols by name. Even so, it must be acknowledged that, like their forebears, mathematical adinkras also represent concepts that are difficult to express in words. Most intriguingly, they may even contain hints of something more profound — including the idea that our universe could be a computer simulation, as in the Matrix films. To understand what adinkras are, we must first examine the physical theory to which they relate: supersymmetry, commonly abbreviated as SUSY. The concept of symmetry is ubiquitous in nature, but on a more technical level it has been a powerful mathematical tool for the development of equations. Einstein recognized that there was a symmetry between the effects observed by someone in an accelerating spacecraft far away from all planets and those observed by someone standing on the planet’s surface. He called this recognition the “happiest thought” of his life, and he used it to determine the form of his equations of general relativity, which describe how matter warps space and time to create gravity. Moving on to the Standard Model, the set of equations used to describe the physics of quarks, leptons (the family of particles that contains the electron) and force-carrying particles like the photon (carrier of the electromagnetic force) is also largely determined by symmetry groups. Photons, for example, possess a type of symmetry known as U(1), which means that two distinct photons can produce the same electric and magnetic forces on a charged particle. Another important symmetry is the SU(3) symmetry of quarks, which can be visualized using what mathematicians call a “weight-space diagram” (figure 1). This diagram shows the entire family of nuclear particles of which the proton, p, and neutron, n, are members. The location of particles in this diagram is determined by particle properties called isospin and strangeness, the values of which were first measured in the 1950s and 1960s. Six triangles lurk inside it — you can see them if you draw lines from the centre to each vertex — and this “triangular” symmetry is part of what leads to the designation SU(3). Figure 1. Weight-space diagrams This weight-space diagram shows the “baryon octet” group of particles, including the proton (p), neutron (n) and six more exotic species known as hperons. Particles are arranged according to their isospin (how they interact with the strong nuclear force) and the number of strange quarks they contain (their “strangeness”). Such diagrams are more than pictures. In fact, it was an insight drawn from such diagrams that led Gell-Mann and George Zweig to a new understanding of nuclear matter. Gell-Mann and Zweig realized that patterns in diagrams showing families of nuclear particles meant that those particles must be made up of smaller, more fundamental particles: quarks. The nuclear-particle octet diagram gets its name because there are particles associated with each of its six vertices, and two additional particles associated with its centre, hence an “octet” of particles. This diagram is useful as a kind of accounting tool: in certain nuclear reactions, two or more experiments will lead to simply related results if one member of this family is replaced by another. For example, measuring how a proton is deflected from a neutron by the strong nuclear force will yield a result that is directly related to the deflection of a ?– particle from a neutron. This is the power of using symmetries. When we know that certain symmetries are present in nature, we can use one experiment to predict the outcome of many others. As its name implies, the theory of supersymmetry takes the idea of symmetry a step further. In the Standard Model there is a dichotomy between leptons and quarks — collectively called “matter particles” — and force-carrying particles like photons. All matter particles are fermions, particles with half-integer quantum spin that obey the Pauli exclusion principle. Force-carrying particles, in contrast, are bosons, which have integer spin and can violate the exclusion principle. This means that not only photons but also gluons (which carry the strong nuclear force), the W and Z bosons (which carry the weak nuclear force), and even the hypothetical Higgs boson are all free to possess any allowed quantum numbers in composite systems. SUSY breaks this rule that all matter particles are fermions and all carriers are bosons. It does this by relating each Standard Model particle to a new form of matter and energy called a “superpartner”. In its simplest form, SUSY states that every boson has a corresponding “super-fermion” associated with it, and vice versa. These superpartners have not yet been observed in nature, but one of the main tasks of CERN’s Large Hadron Collider (LHC) will be to look for experimental evidence of their existence. If the LHC finds these superpartners, then the Standard Model will have to be replaced by the Minimal Supersymmetric Standard Model (MSSM), or perhaps another more exotic variant. From the point of view of equations, however, SUSY presents an additional challenge. Even if the LHC finds evidence that we live in a supersymmetric universe, there are many different sets of equations that incorporate supersymmetry. How, then, do we pick the right ones? The answer, of course, is that we pick the equations that agree with experimental observations. However, we can also ask a more subtle question: how do we ensure that the SUSY property is made manifest at every stage of calculations involving the quantum behaviour of these equations? It is here that adinkras might prove useful. Just as a weight-space diagram is a graphical representation that precisely encodes the mathematical relations between the members of SU(3) families, so an adinkra is a graphical representation that precisely encodes the mathematical relations between the members of supersymmetry families. Now that we know a little bit about how adinkras can be used, we can begin to discuss what they look like. All adinkras are constructed by starting with squares, cubes and their higher-dimensional generalizations; these structures provide a “skeleton” that is then “decorated” by additional operations. Each of these decorations has a mathematical significance, which I will discuss later. For the moment, let us just concentrate on building a simple adinkra. To make a square into an adinkra, we begin by placing a white dot at one vertex (figure 2). The rules of adinkras then dictate that the two line segments connected to the white dot must have black dots at their opposite ends. This means that the final unpopulated vertex is connected to “black dot” vertices, so it must be populated by a white dot. Next, we need to assign directions to each line segment, or link. To keep track of these different directions, we assign distinct colours to each of them: all links that point in the same direction are assigned the same colour, and links that point in different directions are never assigned the same colour. Then, we need to assign an “edge-parity” to each link: each coloured line can be drawn as either solid or dashed. Every two-colour closed path in an adinkra must contain an odd number of dashed links. One last rule is that white dots and black dots are never allowed to have the same vertical position; that is, no black dot in an adinkra is ever allowed to appear at the same height as a white dot. Figure 2 shows a square that has been “decorated” in two different ways and made into two distinct adinkras. There is no limit to the number of colours that may be used to construct an adinkra. As a result, higher-dimensional adinkras have a certain aesthetic appeal (figure 3). As Einstein once said, “After a certain high level of technical skill is achieved, science and art tend to coalesce in aesthetics, plasticity and form.” Perhaps the “artistic” depictions shown here are an example of this. But adinkras, like Gell-Mann’s octets, are not just pictures. In fact, they are in some ways rather similar to Feynman diagrams, which are the series of line drawings used to describe calculations in quantum electrodynamics. Like Feynman diagrams, adinkras are a precise mathematical description of calculations. They also serve as an aid to performing these calculations, since the way that adinkras are constructed provides a streamlined description of the most compact sets of equations with the SUSY property. But while Feynman diagrams describe calculations for particle quantum behaviour, adinkras are connected instead to mathematical objects known as Clifford algebras and super-differential equations. Clifford algebras were introduced by the English mathematician and philosopher William Kingdom Clifford in the 1870s as mathematical constructions that generalize complex numbers. However, they also provide the mathematical basis for our modern understanding of fermions. Where adinkras are concerned, if one ignores the information contained in the vertical height of the same type of dots in an adinkra, then that adinkra provides an exact description of mathematical matrices associated with Clifford algebras. For example, using the rules associated with adinkras, the bottom adinkra in figure 2 yields two of the three “Pauli matrices” (elements of a Clifford algebra) that describe the spin states of fermions. A second connection to mathematics is even more similar to Feynman diagrams. It can be shown that each adinkra corresponds to a distinct set of super-differential equations. Super-differential equations involve both the ordinary derivative operator (invented by Newton and Leibnitz) and a newer type of operator called a “super derivative”, which was invented in the mid-1970s by the mathematician Felix Berezin and then elaborated on by the physicists Abdus Salam and John Strathdee. Super derivatives, represented by the links in an adinkra, are similar to the ordinary derivative, except that they are allowed to violate the usual product rule for derivatives. The super-differential equations for the bottom adinkra derived from a square are shown in figure 2. Since there are only two types of coloured links, there are only two super derivatives: D1 associated with green links and D2 associated with red links. We also have two bosonic superfunctions (?1 and ?2) associated with the correspondingly labelled white dots and two fermionic superfunctions (?1 and ?2) associated with the correspondingly labelled black dots. As complex numbers generally consist of both a real and imaginary part, a superfunction consists of both bosonic and fermionic parts. To turn these components of the adinkra into a set of equations, we begin by picking one dot — let’s use the bottom-left one as an example — and writing its associated superfunction, ?1, to the left of an equal sign. Next, we choose one of the coloured links and write its associated D to the left of the superfunction. For the green link this would be D1; for the red link it would be D2. Then we look to see what dot is at the other end of this link. If we pick the green link, the “target dot” is the one associated with the superfunction ?1, so this symbol belongs on the right of the equals sign. These rules alone are enough to give us the upper four equations in figure 2. These large n-colour folded adinkras represent complex systems of super-differential equations. To “derive” the second group of four equations we need to introduce the ordinary differential operation, denoted by ?T. The manner in which it appears in the equations is controlled by the relative height of the dots within each diagram: whenever the “starting” dot is higher in the adinkra than the “target” dot, this ordinary derivative appears on the right-hand side of the corresponding equation. The dashed links simply insert minus signs into some equations. You should have enough information now to apply this analysis to the second diagram in order to write down its associated equations — although, in time-honoured fashion, I have left this as an exercise for the reader. Returning now to the concept of supersymmetry, Salam and Strathdee devised a simple test to determine when systems of equations possess the property of SUSY. The system shown in figure 2 easily passes Salam and Strathdee’s test, but this does not necessarily mean that they are the equations that theorists from the Equations-R-Us company are seeking. In fact, they are not: aside from the Pauli matrices, the square-derived adinkras are just too simple to be associated with differential equations that have physical meaning. The same is true for adinkras based on a 3D cube. However, with a 4D hypercube, or tesseract, it is a different story. The four-colour adinkra (figure 4) demonstrates a behaviour that is not present for adinkras with fewer colours: it can be broken into two separate, smaller adinkras. These smaller adinkras do have physical meaning. The one on the far right is in fact related to Maxwell’s equations. If one first removes the uppermost open dot and then performs the Salam-Strathdee test, then Maxwell’s equations involving current charges emerge. Similarly, removing the two uppermost dots from the centre adinkra followed by the Salam-Strathdee test leads to the equations for the behaviour of the electron and its SUSY partner (known as the “selectron”). Some of the equations described here have been known for some time to physicists who study SUSY. Yet it was not until 2009 that research on adinkras (arXiv: 0902.3830) showed that these geometric objects can mimic the behaviour of the equations, and thus provided the first evidence that adinkras could be related to physics. The next key question to answer is whether the reverse process can also occur — beginning with an adinkra and using it to derive, via a set of well-defined rules, something like the Maxwell or Dirac equations. In 2001 (arXiv: hep-th/0109109) my students and I conjectured that this could indeed be the case, but only if we could encode the properties of 4D equations onto objects in a mathematical 1D format. Though this conjecture has not yet been proven, work completed by Faux, Iga and Landweber in 2009 (arXiv: 0907.4543, arXiv: 0907.3605) has provided the strongest evidence to date of its correctness. So, just as weight-space diagrams opened a new way to conceptualize the physics of nuclear matter, it is conceivable that adinkras may yield an entirely new way to formulate theories that possess the property of SUSY. The “decorated tesseract” adinkra on the left can be broken down into two separate adinkras. The author’s collaboration of mathematicians and other physicists has introduced the name “gnomoning” for this process of subtracting a smaller adinkra from larger ones. The name gnomoning was used by Euclid, the founder of geometry, to describe a plane figure obtained by removing a smaller figure that is similiar to the large one. As it turns out, it is not just four-colour adinkras that can be separated into two smaller adinkras with the same number of colours; adinkras with more than four colours also possess this property of separability. But why does this occur only for four or more colours? Investigating this question launched our “treasure hunt” in a completely unexpected direction: computer codes. Modern computer and communication technologies have come to prominence by transmitting data rapidly and accurately. These data consist principally of strings of ones and zeros (called bits) written in long sequences called “words”. When these computer words are transmitted from a source to a receiver, there is always the chance that static noise in the system can alter the content of any word. Hence, the transmitted word might arrive at the receiver as pure gibberish. One of the first people to confront this problem was the mathematician Richard Hamming, who worked on the Manhattan Project during the Second World War. In 1950 he introduced the idea of “error-correcting codes” that could remove or work around any un wanted changes to a transmitted signal. Hamming’s idea was for the sending computer to insert extra bits into words in a specific manner such that the receiving computer could, by looking at the extra bits, detect and correct errors introduced by the transmission process. His algorithm for the insertion of these extra bits is known as the “Hamming code.” The construction of such error-correcting codes has been pursued since the beginning of the computer age and many different codes now exist. These are typically divided into families; for example, the “check-sum extended Hamming code” is a rather complicated variant of the Hamming code and it belongs to a family known as “doubly even self-dual linear binary error-correcting block codes” (an amazing mouthful!). Yet whatever family they belong to, all error-correction codes serve the same function: they are used to detect errors and allow the correct transmission of digital data. How does this relate to adinkras? The middle adinkra in figure 4 is obtained by folding the image on the left of the figure. The folding involves taking pairs of the dots of the same type and “fusing them together” as if they were made of clay. In general, an adinkra-folding process will lead to diagrams where the associated equations do not possess the SUSY property. In order to ensure that this property is retained, we must carry out the fusing in such a way that white dots are only fused with other white dots, black dots with other black dots, and lines of a given colour and dashing are only joined with lines that possess the same properties. Most foldings violate this, but there is one exception — and it happens to be related to a folding that involves doubly even self-dual linear binary error-correcting block codes. The adinkra in figure 5 is the same as the left-hand part of figure 4 but for simplicity it is shown without dashed edges. We pick the bottom dot as a starting point and assign it an address of (0000). To move to any of the dots at the second level requires traversing one of the coloured links. There are four distinct ways in which this can be done. To move to any dot at the third level from the bottom dot requires the use of two different coloured links, and so on for the rest of the adinkra. In this way, every dot is assigned an address, from (0000) to (1111). These sequences of ones and zeros are binary computer words. To accomplish the folding that maintains the SUSY property in the associated equations, we must begin by squeezing the bottom dot together with the upper dot. When their addresses are added bit-wise to one another, this yields the sequence (1111). If we continue this folding process, always choosing pairs of dots so that their associated “words” sum bit-wise to (1111), we can transform the adinkra on the left-hand side of figure 4 to the one on the right. Thus, maintaining the equations’ SUSY property requires that the particular sequence of bits given by (1111) be used in the folding process. The process used to meet this criterion happens to correspond to the simplest member of the family containing the check-sum extended Hamming code. The “decorated tesseract” adinkra and its associated computer “words.” For simplicity, the adinkra is shown without dashed lines. The part of science that deals with the transmission of data is called information theory. For the most part, this is a science that has largely developed in ways that are unrelated to the fields used in theoretical physics. However, with the observation that structures from information theory — codes — control the structure of equations with the SUSY property, we may be crossing a barrier. I know of no other example of this particular intermingling occurring at such a deep level. Could it be that codes, in some deep and fundamental way, control the structure of our reality? In asking this question, we may be ending our “treasure hunt” in a place that was anticipated previously by at least one pioneering physicist: John Archibald Wheeler. Wheeler, who died in 2008, was an extremely well-regarded figure within physics. He served as advisor to a clutch of important physicists, including Richard Feynman, while his own work included the concept of the “S-matrix” (a mathematical tool that helps us understand Standard Model particles). Beyond the physics community, Wheeler is probably best known for coining the terms “black hole” and “wormhole”. But he also coined a slightly less familiar phrase — “it from bit” — and this is what concerns us here. The idea of “it from bit” is a complex one, and Wheeler’s own description of it is probably still the best. In 1990 he suggested that “every ‘it’ — every particle, every field of force, even the space-time continuum itself — derives its function, its meaning, its very existence entirely…from the apparatus-elicited answers to yes-or-no questions, binary choices, bits”. The “it from bit” principle, he continued, “symbolizes the idea that every item of the physical world has at bottom…an immaterial source and explanation: that which we call reality arises in the last analysis from the posing of yes-no questions and the registering of equipment-evoked responses; in short, that all things physical are information-theoretic in origin and that this is a participatory universe”. When I first heard the idea of “it from bit” as a young physicist, I thought Wheeler must be crazy. The concept of a world made up of information just sounded strange, and (although I did not know it at the time) I was not the only one who thought so. However, sometimes crazy ideas turn out to be true, and Wheeler has been proved right before. As Feynman said, “When I was [Wheeler’s] student, I discovered that if you take one of his crazy ideas and you unwrap the layers of craziness from it one after another, like lifting layers off an onion, at the heart of the idea you will often find a powerful kernel of truth.” Indeed, another of Wheeler’s “crazy” ideas — his suggestion that a positron can be treated as an electron moving backwards in time — played a role in Feynman later winning a Nobel prize. As for my own collaboration on adinkras, the path my colleagues and I have trod since the early 2000s has led me to conclude that codes play a previously unsuspected role in equations that possess the property of supersymmetry. This unsuspected connection suggests that these codes may be ubiquitous in nature, and could even be embedded in the essence of reality. If this is the case, we might have something in common with the Matrix science-fiction films, which depict a world where everything human beings experience is the product of a virtual-reality-generating computer network. If that sounds crazy to you — well, you could be right. It is certainly possible to overstate mathematical links between different systems: as the physicist Eugene Wigner pointed out in 1960, just because a piece of mathematics is ubiquitous and appears in the description of several distinct systems does not necessarily mean that those systems are related to each other. The number pi, after all, occurs in the measurement of circles as well as in the measurement of population distributions. This does not mean that populations are related to circles. Yet for a moment, let us imagine that this alternative Matrix-style world contains some theoretical physicists, and that one of them asks, “How could we discover whether we live inside a Matrix?”. One answer might be “Try to detect the presence of codes in the laws that describe physics.” I leave it to you to decide whether Wigner’s warning should be applied to the theoretical physicists living in the Matrix — and to us. This article first appeared in Physics World, June 2010 and was reprinted with permission of the author and publisher. 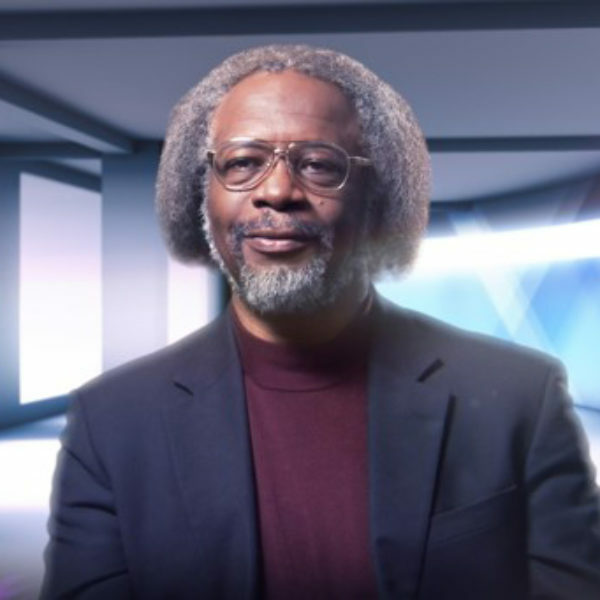 S. James Gates Jr. is Toll Professor of Physics and Director of the Center for String and Particle Theory at the University of Maryland in College Park. He serves on President Obama’s Council of Advisors on Science and Technology.